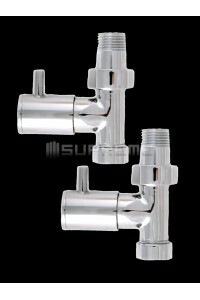 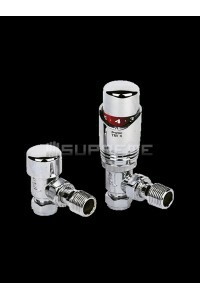 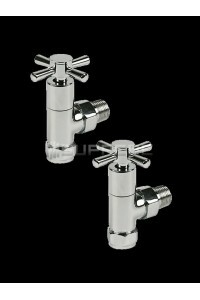 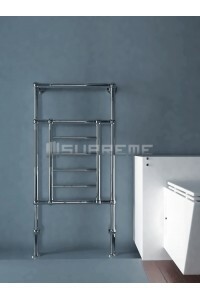 **The Supreme NUR model fuses simple classic design with durability and convenience. 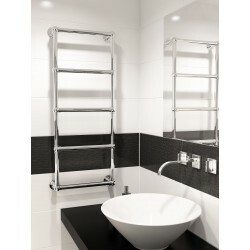 This chrome towel radiator measures 500mm by 1200mm and is installed to the wall of your bathroom. 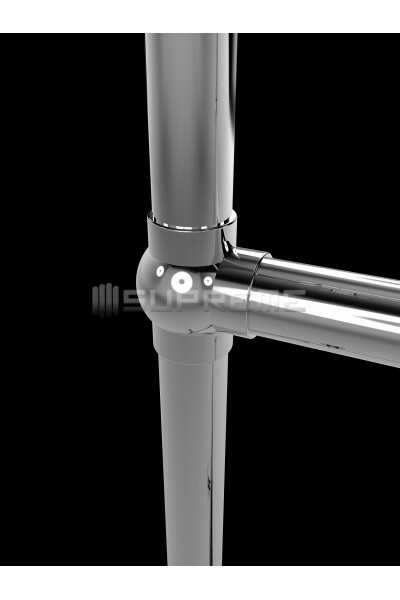 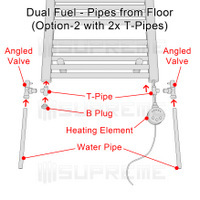 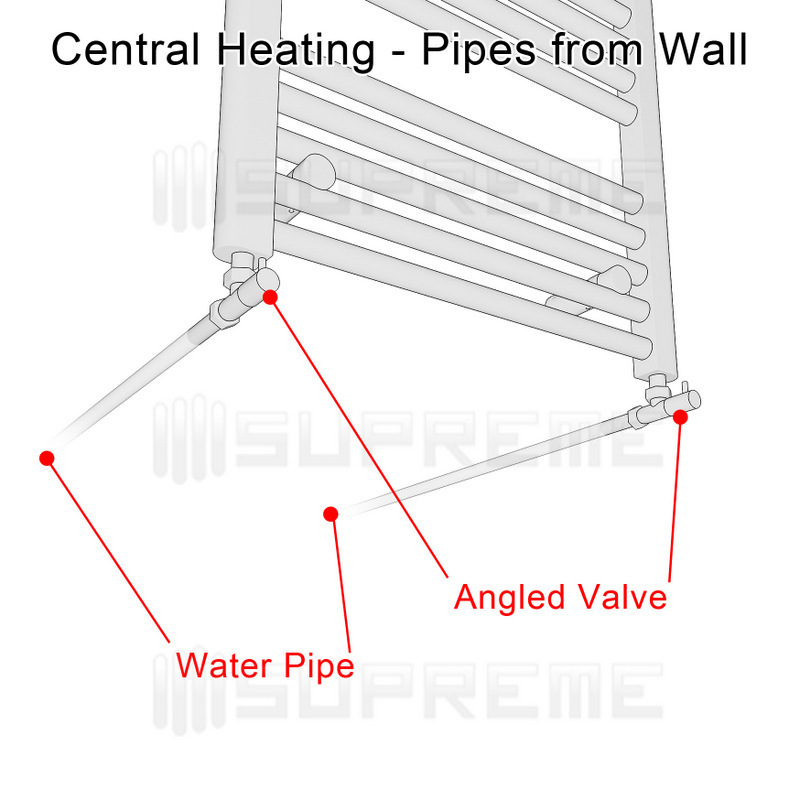 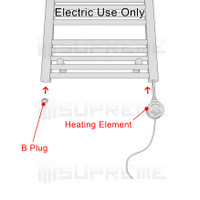 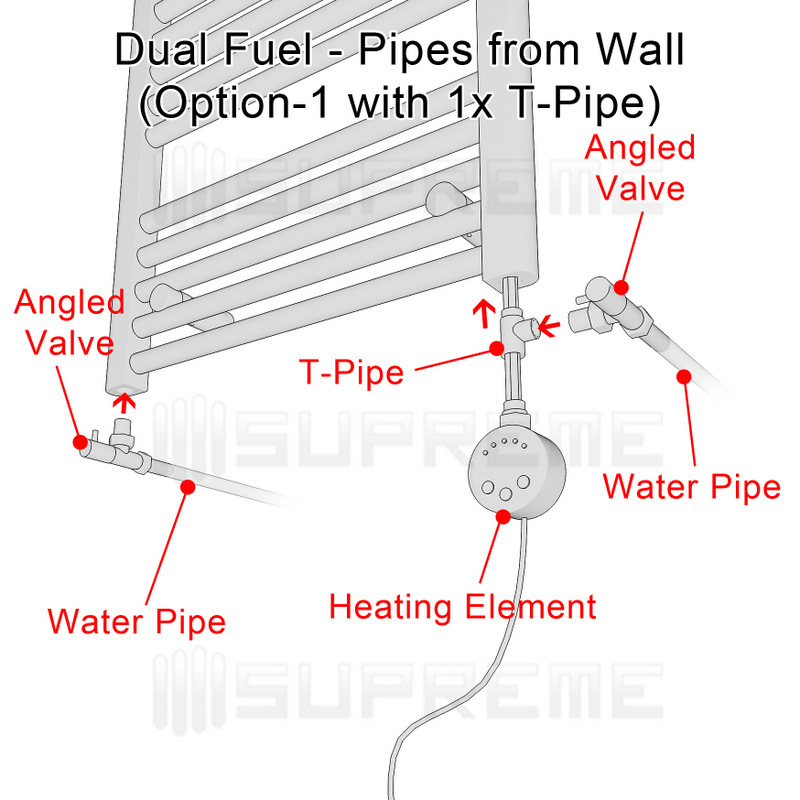 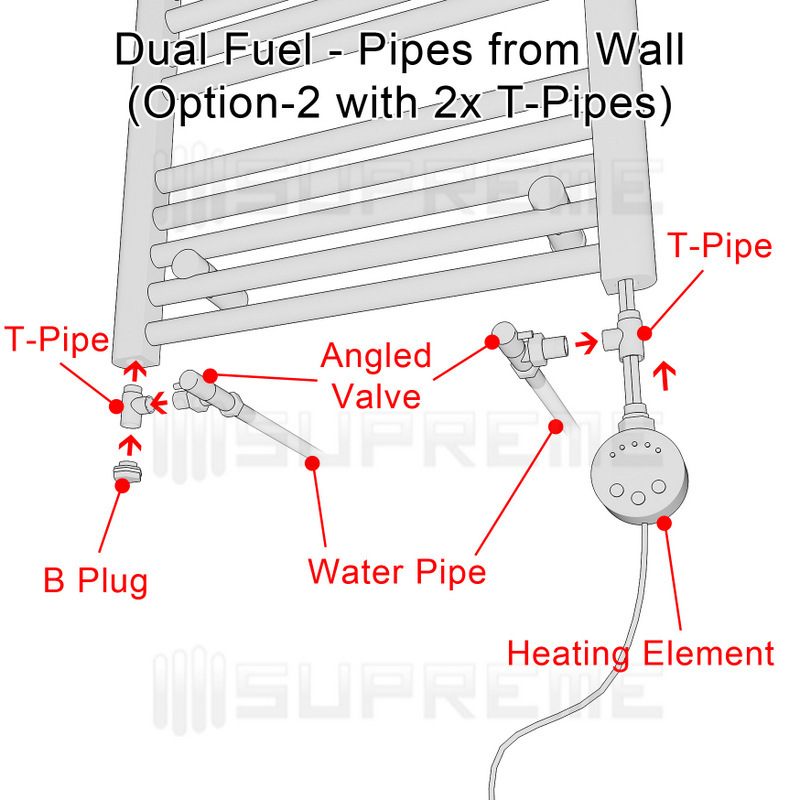 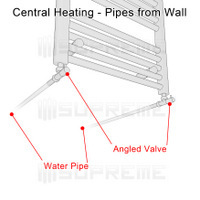 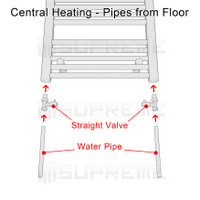 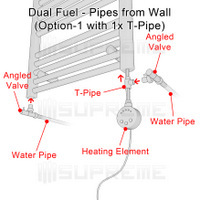 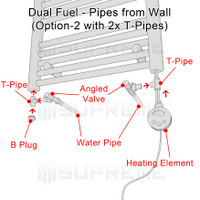 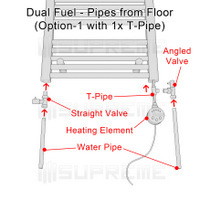 The towel radiator is run on a central heating system, whereby the pipes are installed to the towel radiator from the bottom of the structure. 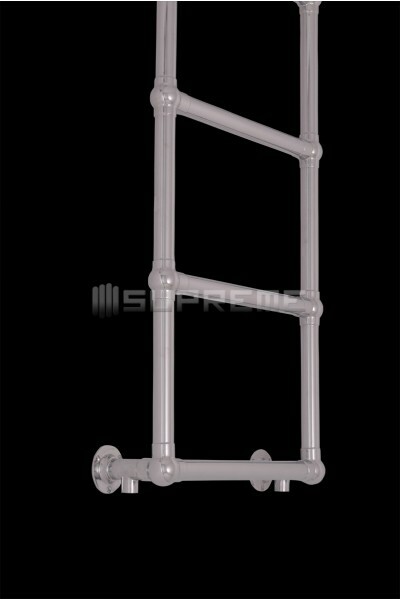 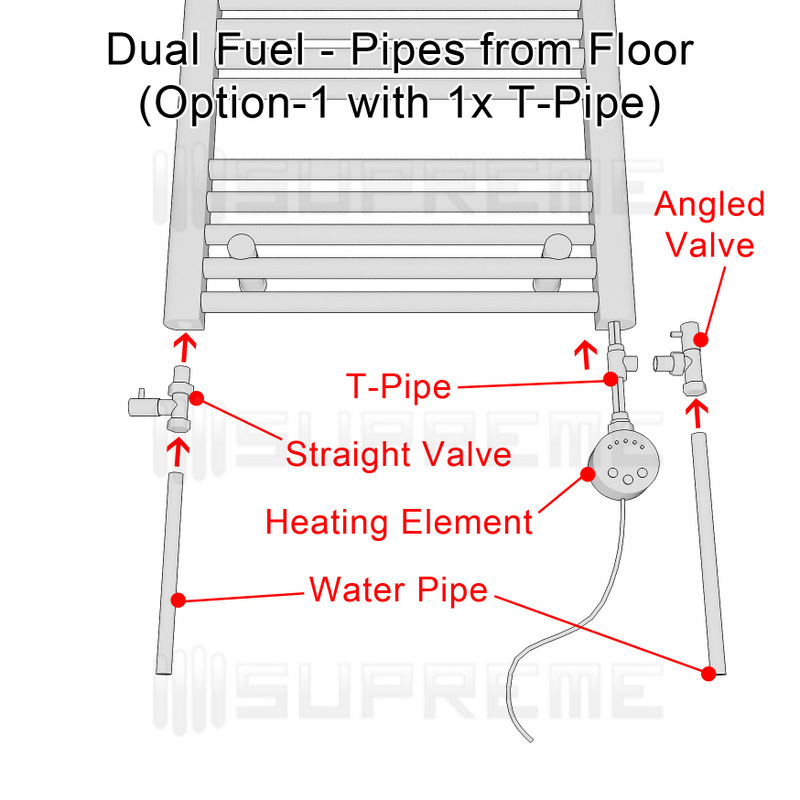 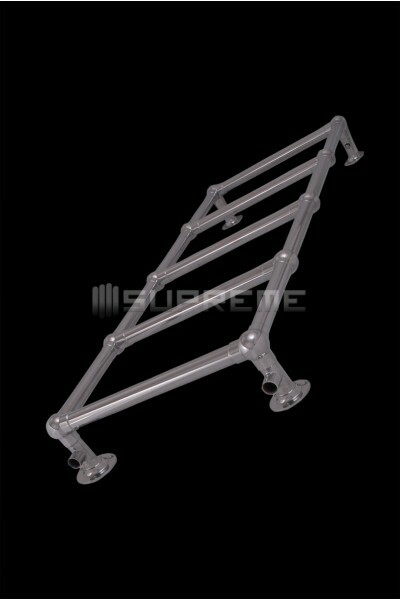 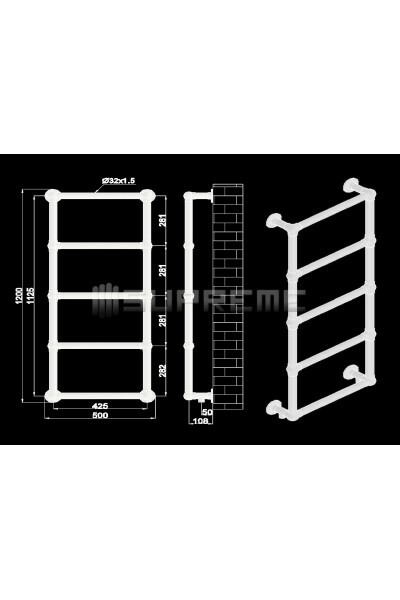 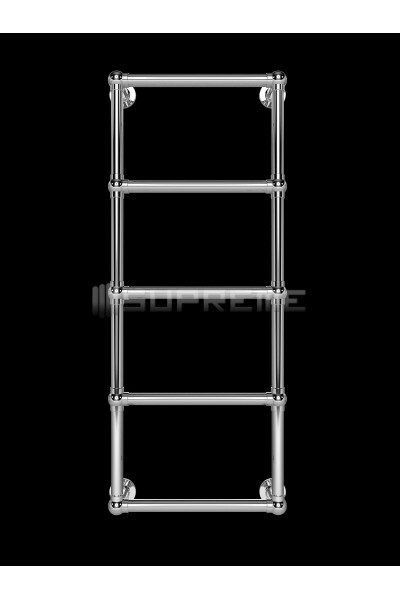 Five tubes are evenly arranged in a ladder style design. 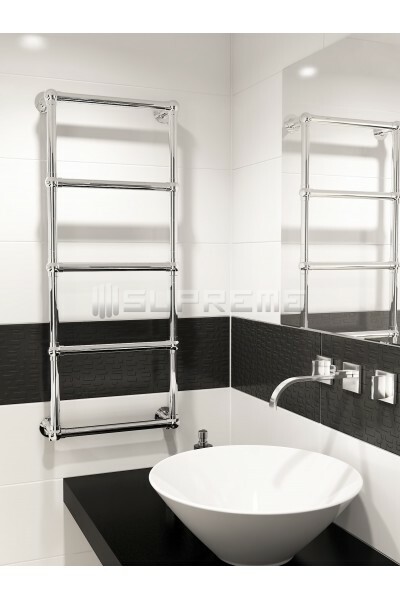 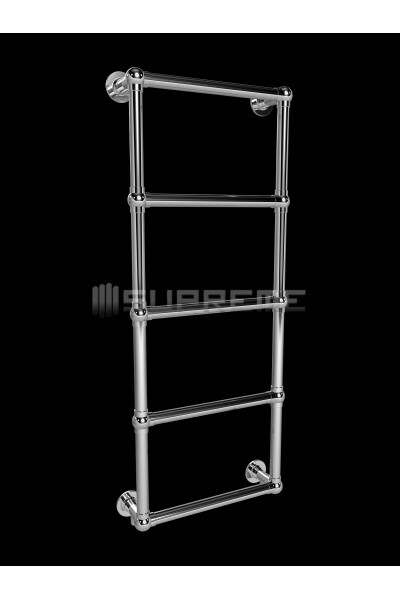 Each horizontal tube is welded securely to the vertical structure, creating a classic shape that subtly accents the traditional features of the bathroom. 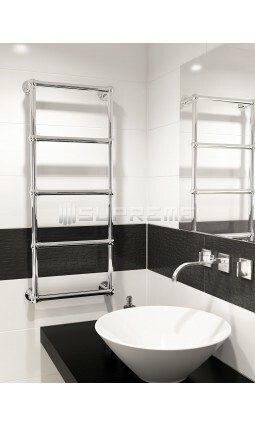 A great design for any bathroom! 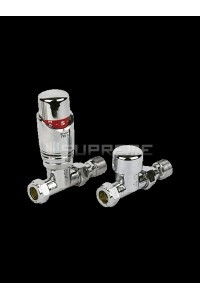 Thank you for your interest in our products and your question. 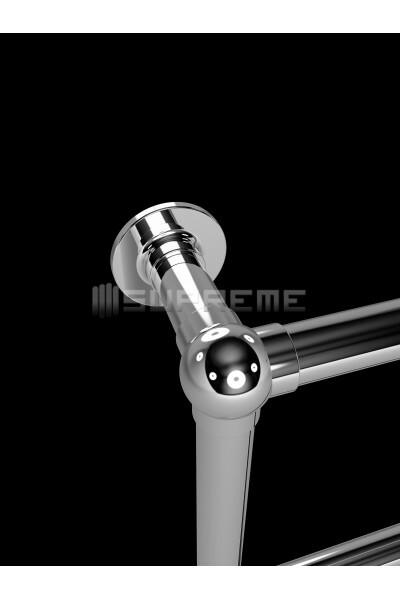 Unfortunately no, due to design of this product. 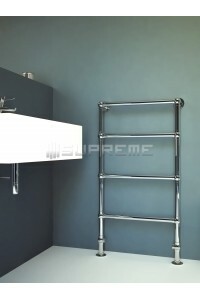 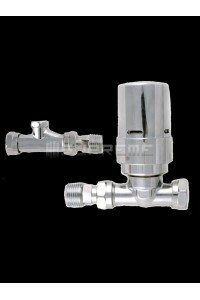 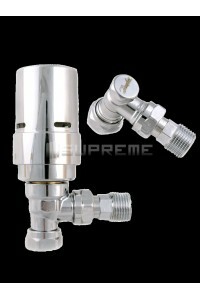 Within the product page, please see detail pictures of this product so that you can get a better idea. 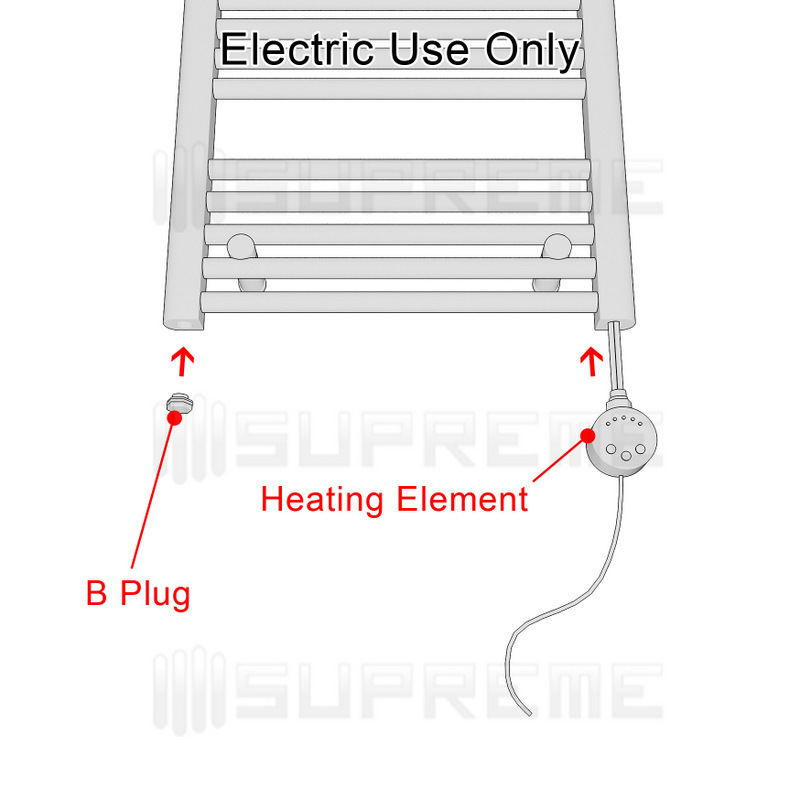 If you have more questions, please contact us by phone for more clarification. 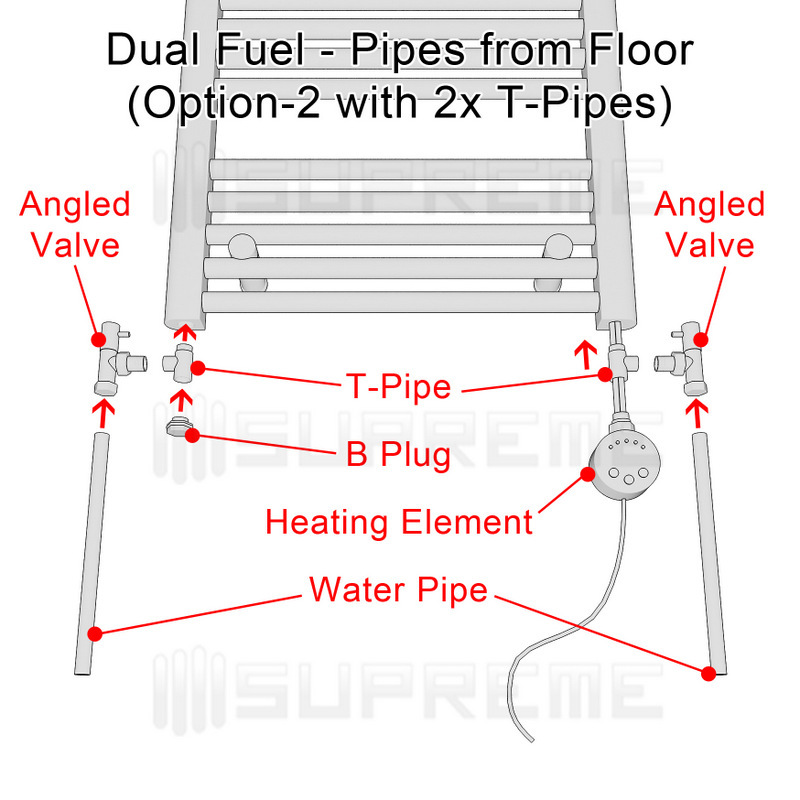 There was a problem with my delivery, but they quickly solved it and kept me updated the whole way through. 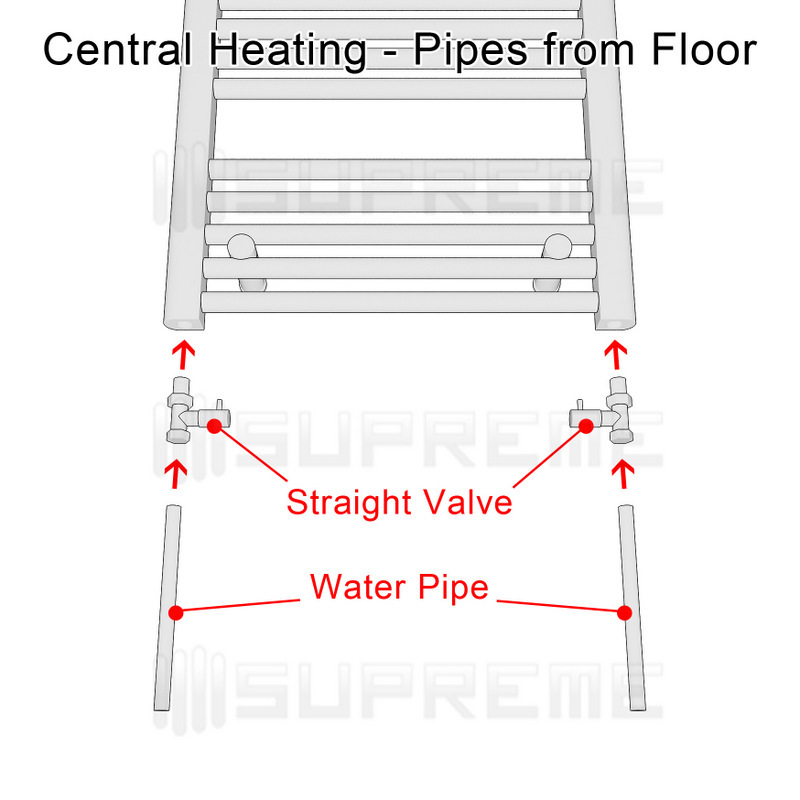 They really go the extra mile for customers.